Prakash Vakil was a homeopathic pioneer with an exceptionally open mind, who used many uncommon symptoms for finding the right homeo­pathic remedy. In this book, he describes in detail and with numerous colour pictures how the tongue can be used for finding the simillimum. 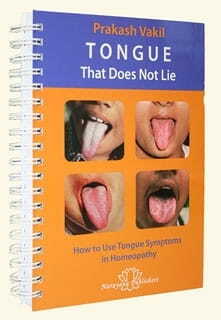 For more than 20 years, Prakash Vakil studied tongue symptoms in his daily practice. He combined clinically confirmed symptoms with his own findings. This reliable and original work is the outcome of these studies. Apart from his observations and cases, it includes an extensive tongue repertory, which forms the main part of this book. A useful guide that sharpens clinical obser­vation skills and greatly contributes to a successful everyday homeo­pathic practice.